Organized gang stalking in action: Who wants to watch a case of gang stalking unfold before your eyes? Guo Wengui 郭文贵 does battle in the jiang hu. The reader might have noticed that the things I write about could get me killed-or worse. But don’t worry ’bout ‘lil ‘ol me! In my case, I know where to point the finger, and it ISN’T at some random face in the usual suspects gallery. Nope. In my case-you can read through this bog and see where I point. Look there first for those who would do me in. But organized gang stalking is real, it is well financed, and in the United States, you are MORE LIKELY than LESS LIKELY to be “shaken down” or harassed BY law enforcement than by an “organized gang,” until you cut a deal. Because in America, intel and counter-intel, private security firms with rats in the ranks, and retired LEO’s working under the OGS rubrik have virtually replaced any actual gang, or organized crime. Guo Wengui. For the security professional in training, the psychologist or sociologist or FBI rat who is trying to figure out what OGS is, drive yourself NUTS! And look at the book in the background of the picture. Yeah- that book. See if you can follow the money….or die crazy tryin’! SO, in one sense, I feel TOTALLY SAFE in America-I know that no random criminals will do me in. But those other guys…. counter-narrative and much much more. Oh- and lots of slander f you don’t go along with their grand plan. It won’t be long before someone or other claims that Guo is a cult member or some other nefarious and false charge by our government or his own. So 郭先生 would be wise to get some good PR BEFORE that happens. Related Story: Falun Gong is a Cult started by a Chinese Billionaire who skipped out of China without paying taxes. In spook world- the smoke and mirrors are designed to keep all of this hidden from you, AND make you nuts trying to figure it out, as they “bleed you out,”and blur your relational framework, and attempt to distort your associations. While it may be a cnvenient way for psychologists like Lorraine Sheridan, David V. James and others to gas light those who are gang stalked-especially the impoverished and the disenfranchised-it is worthwhile for the researcher of organized gang stalking to look a little deeper into the abyss-but not TOO deeper, which can be dangerous. 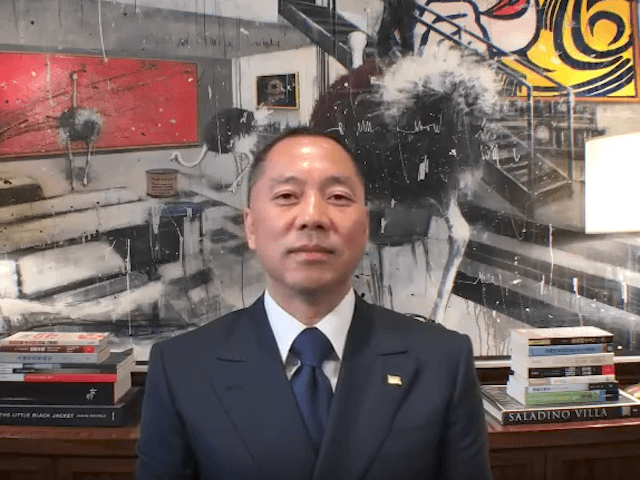 Self-exiled Chinese real-estate mogul Guo Wengui blasted what he called the “kleptocracy” running China, and warned that a wave of Chinese spies are being dispatched to “decimate” the United States – where Guo is currently sheltered. And, as we see in case after case, many retired American LEO’s and intelligence agents act as go-betweens, bag men, performing black bag jobs of all kinds, utilizing “intelligence” that was lifted illegally from “official databases,” as we see with the LEIU’s, and the domestic spy rngs of the ADL; and the sliding door between the FBI and corporations like Lockheed Martin, and the absolute veil of impunity around the CIA and EVERYWHERE, ALL THE TIME, and so on. SO, for an individual targeted at the highest levels, it is safe to say that plainly weird sh!t can, does, and will happen. And when it does-who do YOU call? In America, all the switches are wiretapped, and all of the “good guys” are drooling to get at your pocket book-because they really, really like to be hero’s who “return peoples wallet’s,” but not until AFTER they squeeze a few pennies -or a few million dollars out of them. And if that should happen, you can always just shoot me an email. I have a few ideas those “other guys” don’t have. And, I know the difference between a field and a swamp-you can bet on that. Next ›Hello, Hong Kong. Maybe, send me an e-mail. You seem to be searching for some interesting data here at ROGS blog.